It's funny, the way things change on you. 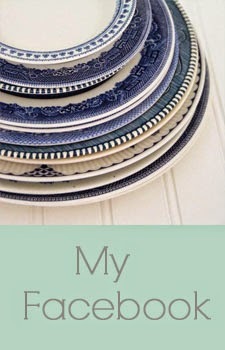 When I started this blog, I wanted it to be a homemaking blog. I was going to write about cooking healthy, whole food meals. 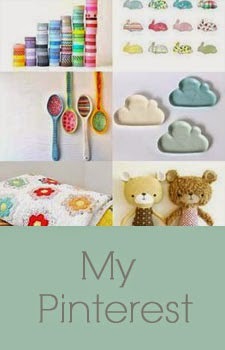 I was going to write about green cleaning, DIY, sewing and knitting. If you look at my earlier posts, they follow this format. It didn't take long for me to catch the DIY, trash-to-treasure bug. I loved looking through the link parties and seeing these awesome transformations that people were doing and I though, "Hey, I can do that!" So I began going to thrift stores and raiding the housewares sections, finally able to look at things with a new outlook and see past the ugly to what something could become, and with that, my blog changed. It became a blog about DIY, trash-to-treasure & crafting. The same thing happened with my Etsy shop. I was going to sell knitted items, handmade jewelry and some vintage goodies that I'd picked up here and there. It sure didn't take long to realize that those things weren't gonna budge. I couldn't charge enough for the knitted items to really compensate myself. 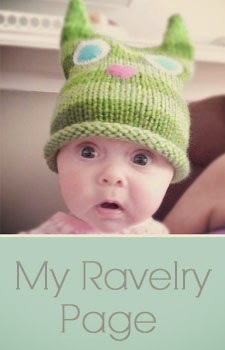 Nobody wants to pay $26 for a hand-knit hat when they can go to Target and get a really cute one for $10. Plus, $26 was ripping me off. The yarn alone costs about a third of that, and my time is more valuable than $2 an hour (time spent knitting the hat). At the same time, I had so much stuff that I'd thrifted, out in the garage, waiting for me to paint it. There was also the question of where would I put it once I did paint it. My house is already decorated and there is no room for new stuff. At the same time, I needed projects to keep my blog going. I needed that stuff. Charles suggested I try to sell that stuff on Etsy. I was hesitant at first, until I started poking around on Etsy and seeing that people WERE selling stuff just like that. So a few weeks ago, I pulled some stuff out, painted it and listed it, and do you know what??? People started buying it! I've made 10 sales in the past three weeks. I feel that the closer it gets to Christmas, the more I'll sell. By selling this stuff, I'm actually making the profit that I feel I deserve. The items are inexpensive for me to buy, it doesn't take long at all for me to work on them and so I'm able to sell them for a cheaper price. Both my customers and I win! Since I'm here talking about changes and transformations I do actually have something to show you. Amazing what a little paint and glaze can do! If anyone is interested, these are for sale in my shop. Those transformed keys are great! these are gorgeous! love your blog, too! They are great! Love them!! And - I totally understand what you mean!! It is crazy to see how much has changed on your blog...I've been your follower since you only had about 40 followers and now you have over 400. Congrats! Also..thank you so much for your sweet comment on my post today!! Good for you for spotting the potential. It can be hard to make a u-turn in your plans but it sounds as though it's paying real dividends. hmmm. i know what you mean about not being able to charge enough to make what you put into making something. my stuff isn't moving at etsy right now either. perhaps i should follow your lead! I love your key makeover! The color is great! A big congrats on your Etsy shop and sales! How exciting! I love trash to treasure projects too, they are the best kind, I think! Oooh the keys are a beautiful color. Love 'em! Well, I for one am glad you went the DIY route. You have some amazing transformations! Like this one. Beautiful! LOVe IT! I have some old keys laying around the house, now I know what to do with them. I am also a HUGE fan of glaze...I pretty much glaze everything. Loove your stuff! I love these keys -the colors are great! They look great, love that blue! My parents had a key collection, wish they would have saved them. Thanks for linking up! I LOVE those keys!!! Good luck with sales!!! When you come to my house, you must help me with my dining room furniture- color and glazing techniques!! I need you!! I am so happy for you that you found a niche! I am having fun here in PA, but am tired! Love the color! I liked hearing your story and glad you found a 'niche' you love. Great job on these. I loved that color, Kristi! These are so fun! And I know what you mean about charging more than $2 per hour for your time. It's a tough balance. Visiting from A Little Knick Knack's EBTKS. Very Cool! I like the color that you added. It's so much more fun that just plain old black! Great job! Love these, love the color choice! These are just so pretty! Great job! I do know what you mean about DIY and trash-to-treasure. It's pretty addicting. You're great at it too! ;) Thanks so much for sharing your creativity in the Project Parade. I love seeing what you're up to! Wishing you the best! Have a great week! I LOVE the color of the keys! They would be perfect in my home! Those keys are gorgeous. Great work! Great key make over. I hope you can stop by my blog and show off your project to my readers on my Show Off Sunday Party. Love the patina and rustic feel to your "new" wall hangings! Thanks for sharing! Really lovely color! And I'm desperate to go thrifting now just to get more junk to paint. Even though I already have a garage full. It really is an addiction. That's a great color! Love them. I have the "bug" too :) Once you start, its hard to stop! Love the keys.